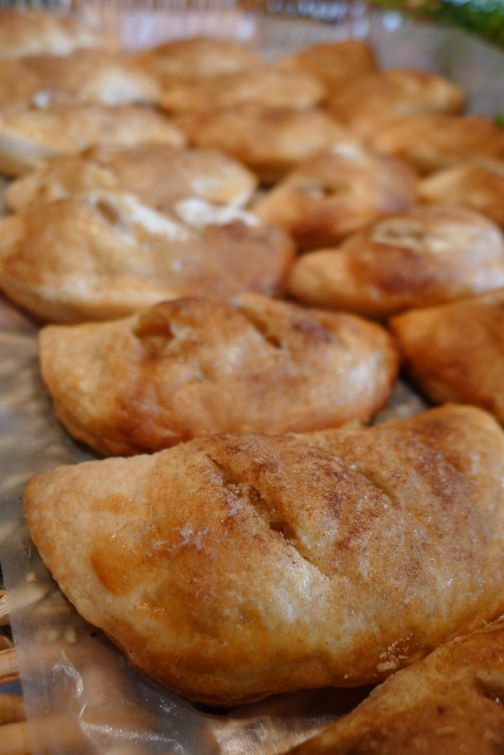 These apple turnovers can be eaten at breakfast time or can also be served after a meal as a dessert, either way they are really delicious! I made them fairly small but you can make them as big as you like. I took them to a birthday party and they were the first to disappear! They are really cute and very tempting to just eat one. 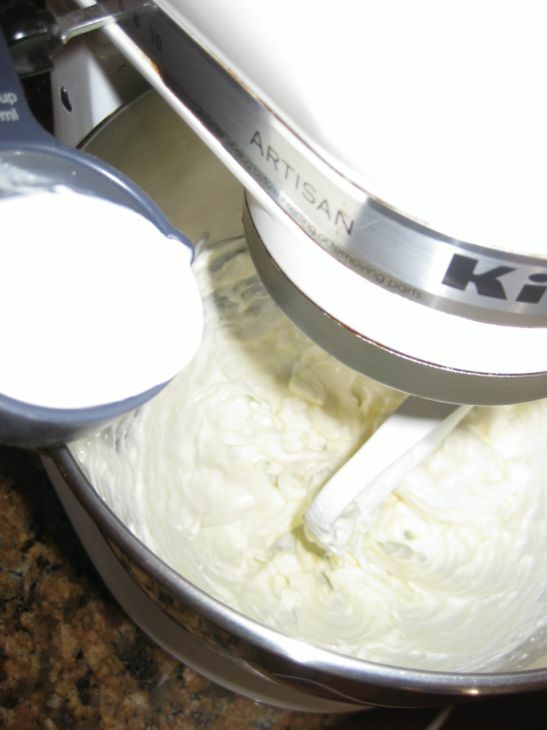 The crust is rich and buttery,made with cream cheese, butter, flour and whipped cream. 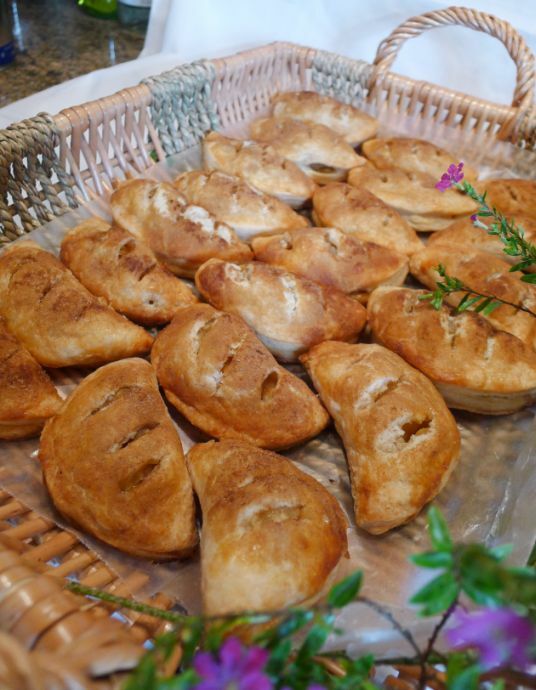 They are best eaten right out the oven or at room temperature. 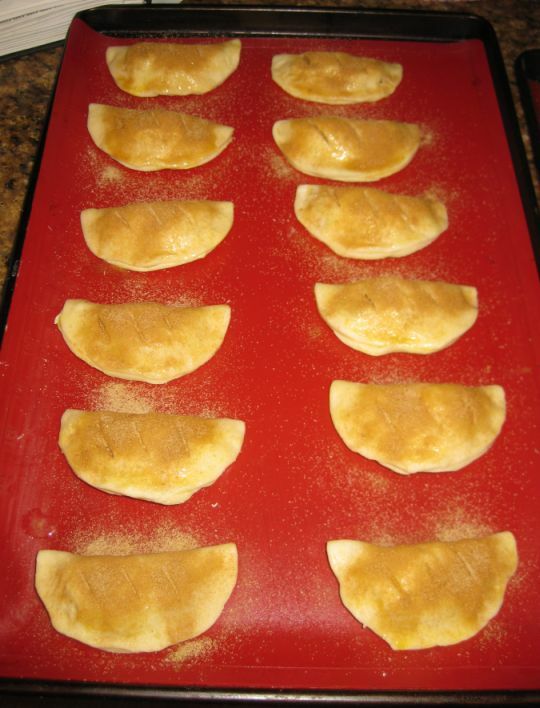 Before baking the turnovers are sprinkled with sugar and cinnamon. 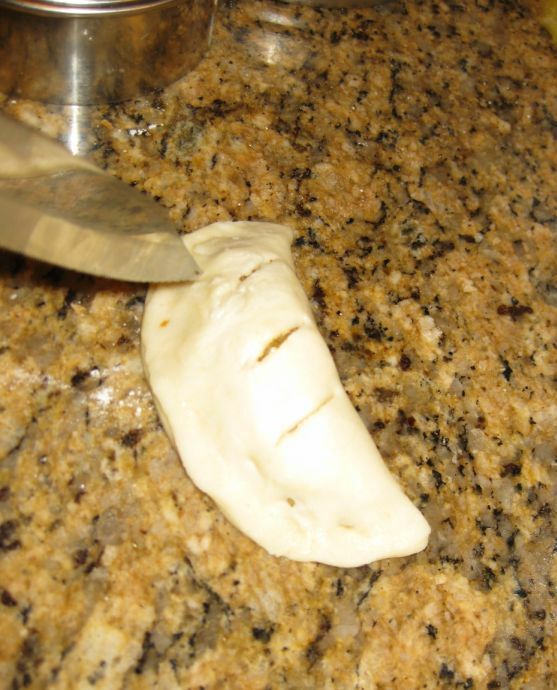 Close look at the turnovers. 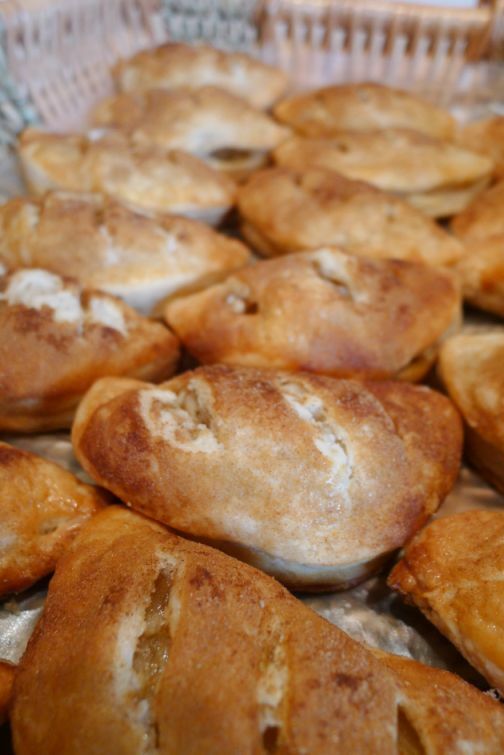 This recipe yield about 36 turnovers so if you can not eat all of them at once you can freeze them! 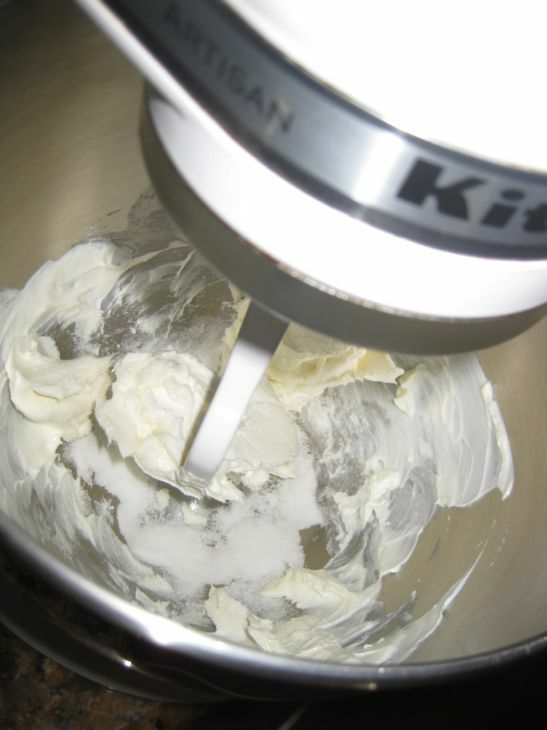 To make the dough: combine the cream cheese, butter, and sugar in the bowl of a stand mixer fitted with the paddle attachment. 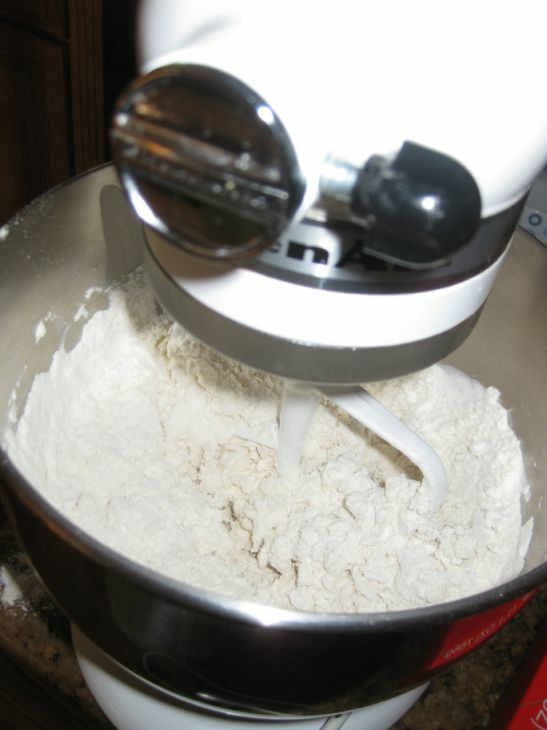 Beat on medium speed until smooth, about 30 seconds. 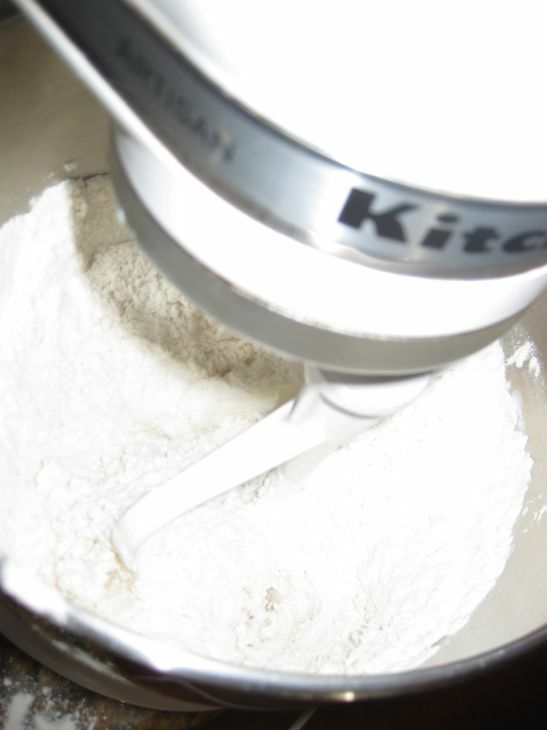 ..the flour, and salt, and beat until incorporated and the mixture comes together. 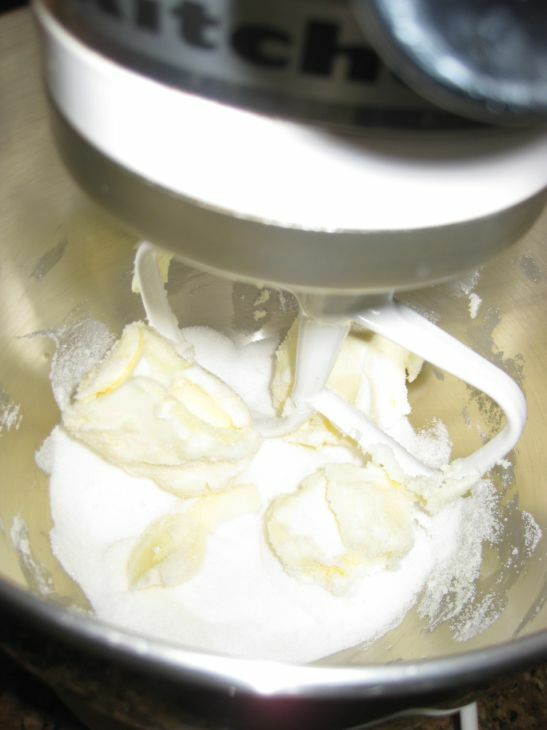 Keep mixing until the dough becomes a ball. 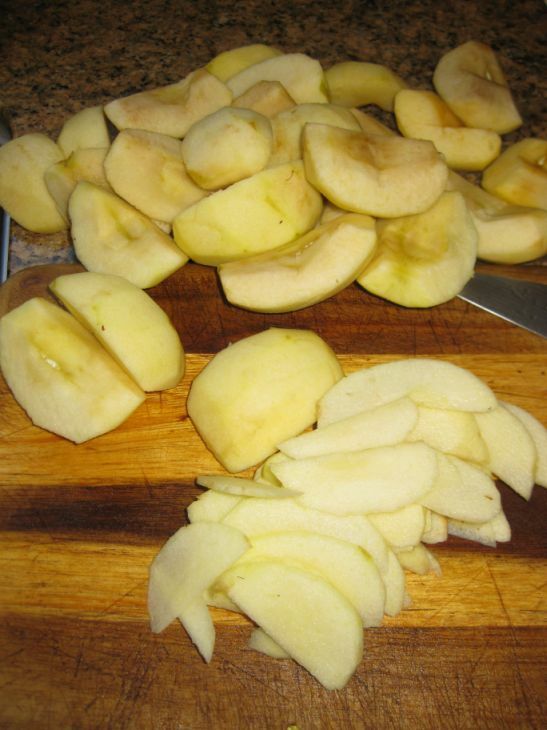 Peel, cut, core, and slice the apples to about 3/16 inch thick. 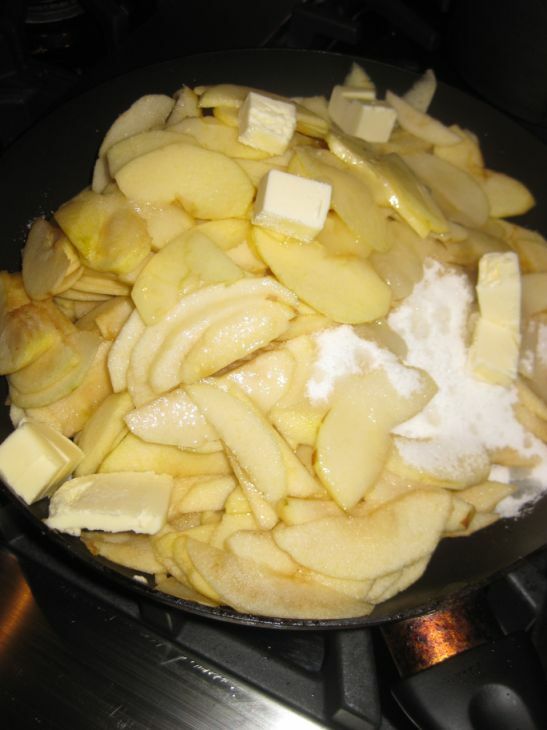 In a large sauté pan combine the apples, sugar, butter, salt, and lemon juice over medium heat. 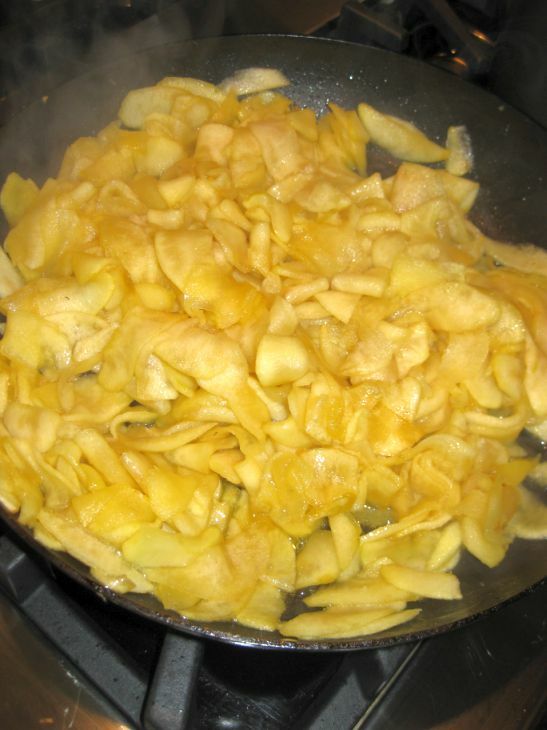 Cook stirring occasionally, until the apples are soft but still retain their shapes. 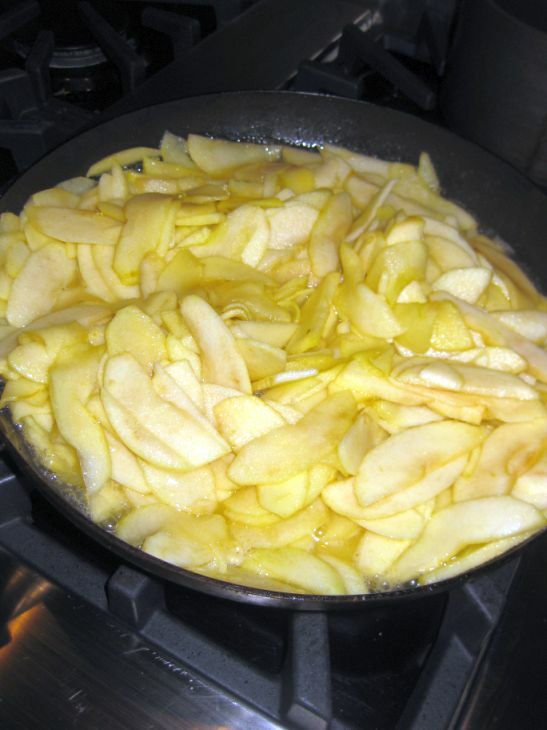 Keep cooking for about 10 minutes until all the juices are evaporated. 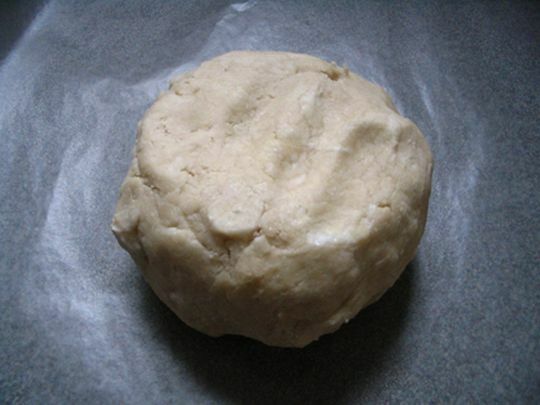 After an hour on a lightly floured surface, roll out the dough 1/8 inch thick. Cut out 16 circles. 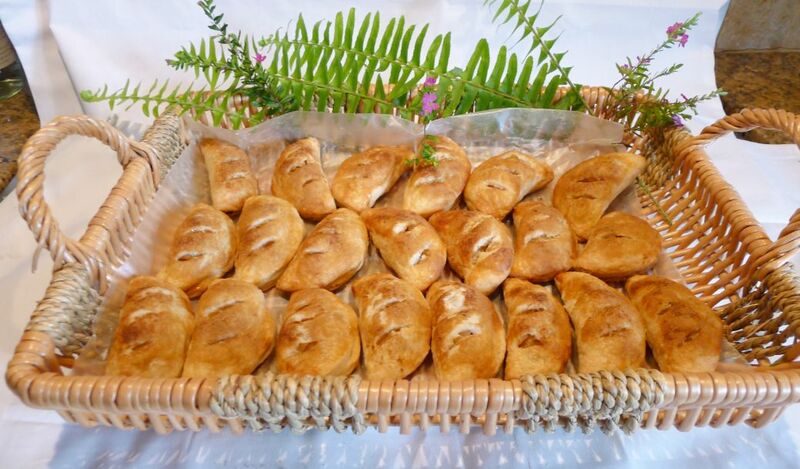 I made small turnovers but you can make it as big as you like. 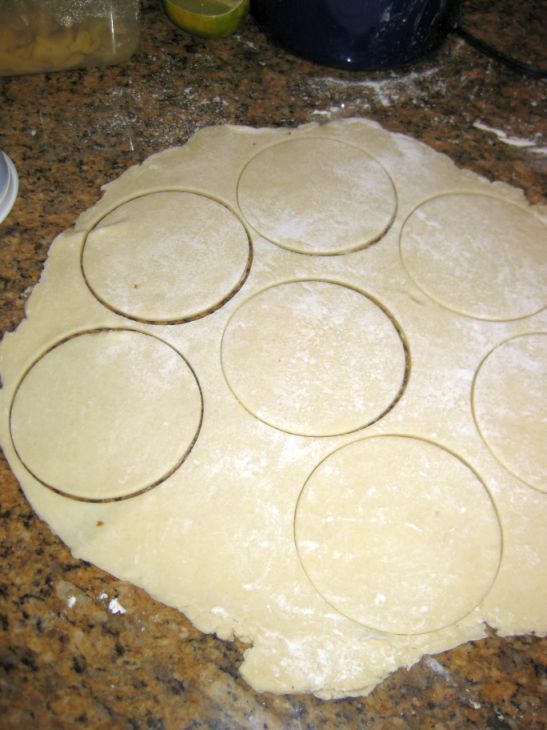 To form each turnover, fill with apple filling in the center of the dough. 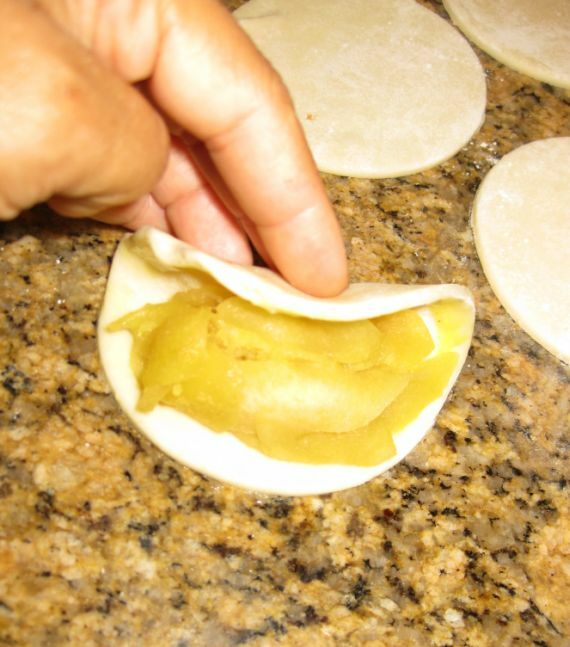 Brush the outer 1/4 inch edge of the circle with beaten egg and fold the circle in half circle. Cut 3 air slits, each about 1/4 inch long, in the top of the turnover. 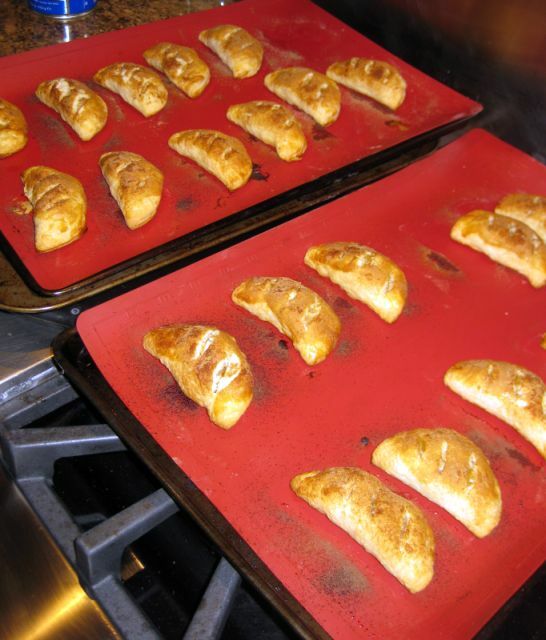 As the turnovers are formed, place them on a baking sheet line with foil or non stick sheet. 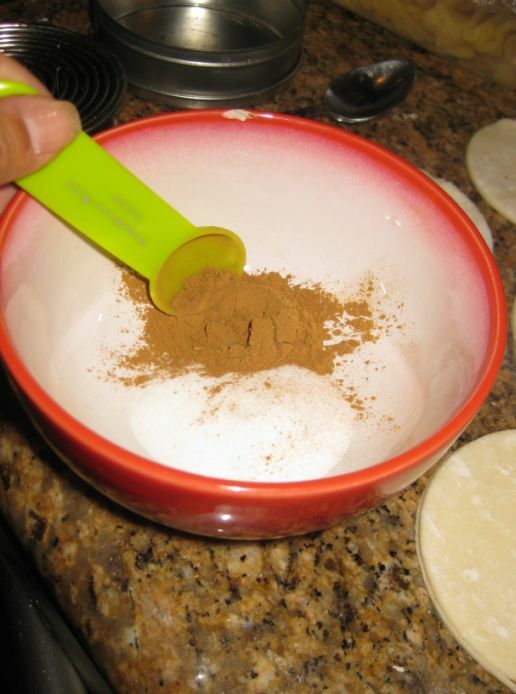 Put one tablespoon of sugar with 1 teaspoon ground cinnamon in a small bowl and mix it together. 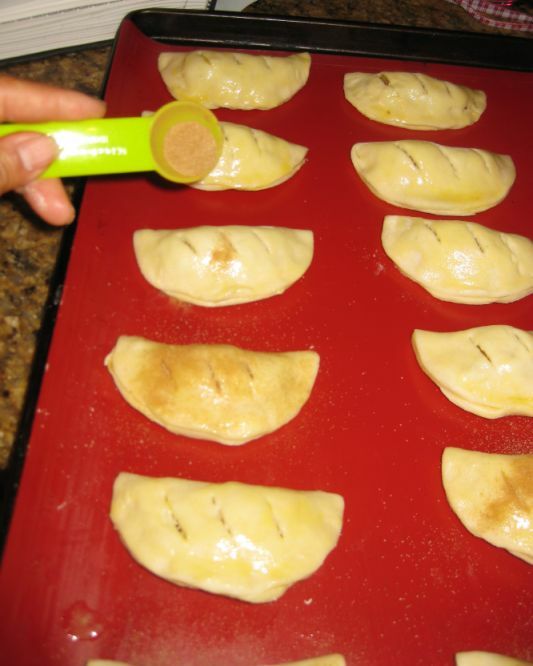 Brush the turnovers with beaten egg and sprinkle with the cinnamon sugar. 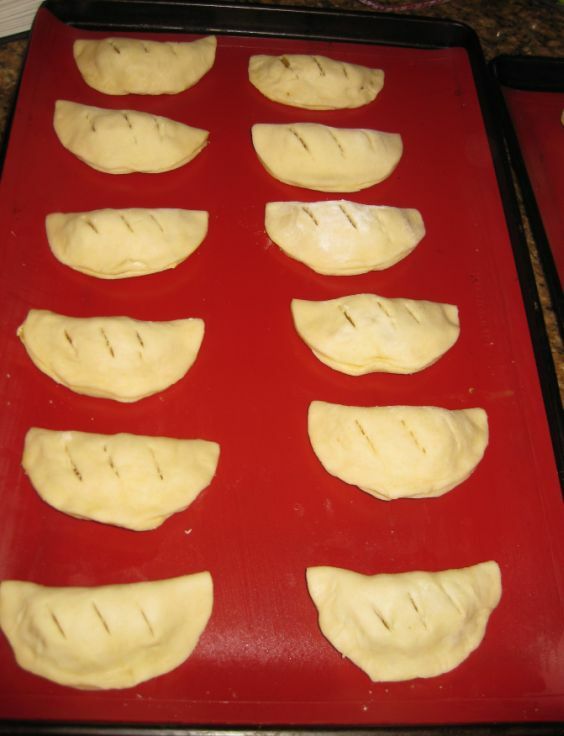 Bake the turnovers for about 25 minutes. 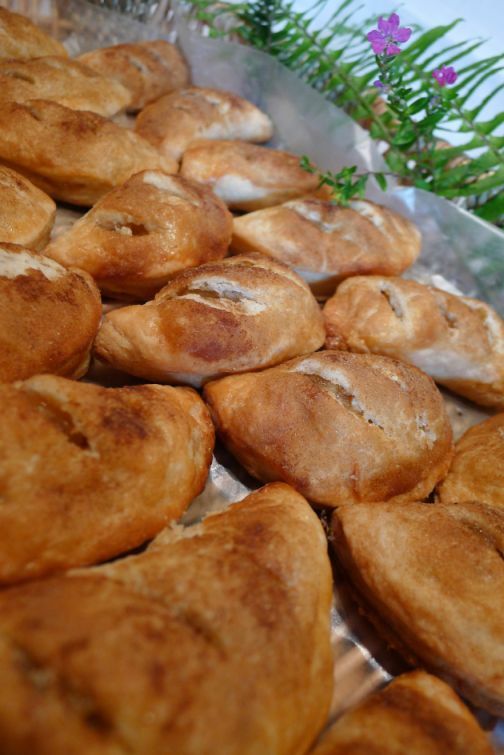 Put the turnovers on a cooling rack and they are ready to be served.